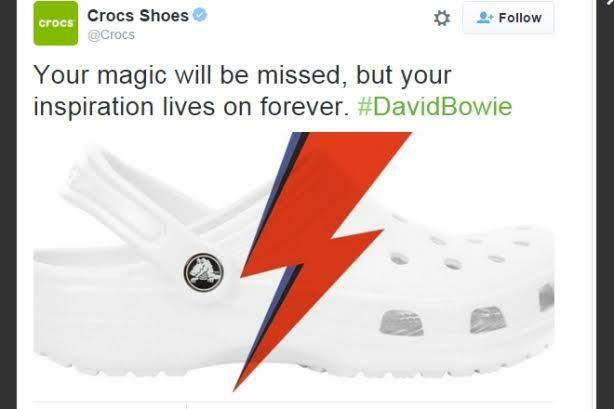 God-awful footwear brand Crocs’ god-awful tribute Tweet trying to cash in on David Bowie’s passing and 3M’s similarly clumsy homage to Prince are but the latest evidence in a conga line of brands struggling with the new reality of marketing, Carat’s global head of innovation JR Little told an audience in Sydney last week. Little told his audience the reason he moved “from the world of branding and qualitative analysis, to data and actually putting some rigour and facts behind his feelings, was because he started to see that there were facts in data that will reveal themselves that you will never be able to guess and that create epiphanies”. 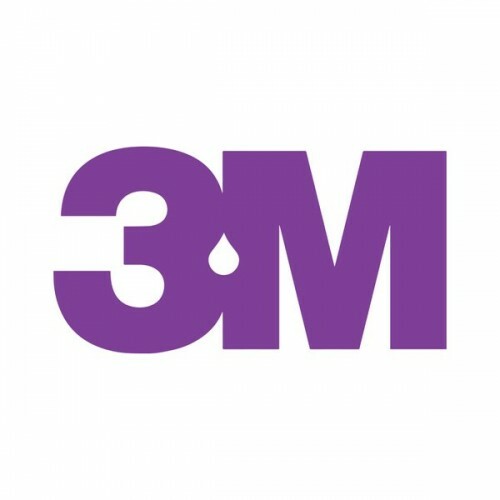 Unusual in the highly competitive media agency industry, Little actually quoted GroupM’s chief digital officer Rob Norman to outline his position that we are “at the end of the beginning of digital marketing”. What this means, argued Little, is that we’re in a period of adjustment where brands will either flourish or fade away depending on their willingness to heed the new rules. And of course learning the rules is all part of the problem as brands hang on to that which once worked so well when applying their moniker to the new way of communicating. Cue the above mentioned faux pas around Prince and Bowie’s tragic departures from this mortal coil. 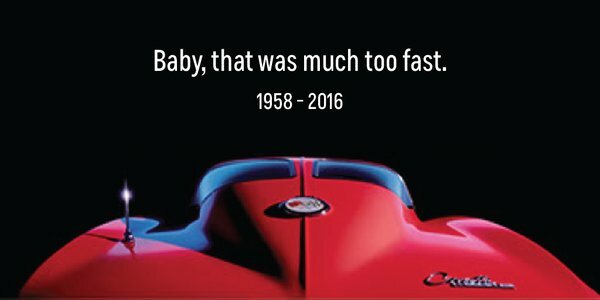 Although, when it was put to him that perhaps avoiding death as a branding opportunity could be a safe rule to follow, the London-dwelling, southern-drawling Little was quick to point out Corvette’s nod to the Purple One was actually quite brilliant. The key: it’s actual relevance stemming from the use of Prince’s own lyrics pertaining to the brand. How can marketers get out of the category and in the process build trust with consumers? Data, argued Little, gave us an ability to delve deeply into the private lives of people, to uncover the sub-cultures people identify with. Once you start uncovering sub-cultures, you start to resonate with the audience. In Little’s own case, he has a fetish for mid 20th Century modernist furniture from the Netherlands. “That’s pretty niche right,” he quipped. The point being of course that anything he sees that relates to that tiny slice of culture he’s going to readily consume whether it’s generated from a brand or an individual. That he said, is why so many people want to be part of the cultural revolution of marketing. If you don’t become culturally relevant, you’re in danger of joining the race to the bottom that is competing on price. “You’re far better trying to get your clients to shop in a space like Instagram rather than a price comparison website,” he said. To do that, of course, means that brands have to play the long game, “it’s no use running a four week TVC campaign and wanting to know whether you’ve built cultural relevance,” said Little. Traditionally, sponsorship of major sporting and cultural events has been the go to solution to building a brand’s cultural relevance. Think Etihad Stadium, Ricky Ponting and Swisse, KFC and NRL’s Bunker. “Just throw your logo up there and cross your fingers and hope that it somehow improves your reputation with that specific audience. That’s fine if you have lots of money to throw at something like that, but most of our clients do not,” he said. So how can we help them through data, Little asked. This is why subcultures are so important and that’s why brands need to start listening harder. To illustrate his point, Little showed an Instagram image of his shoes he’s standing in when he was in Berlin on a weekend that he shared via Instagram, FaceBook and Twitter. He estimated he would have reached 500,000. Some people have far larger audiences he also warned. “You don’t see me talking about ‘oh I got a great deal on these shoes.com, where I paid half price’, you don’t see me talking about ‘oh I had such a wonderful experience down the local mall today’, you don’t see me talking about ‘oh, these shoes have much greater cushioning than my last pair of shoes’. “I’m not talking about category things that we get so caught up in. No I’m talking about the fact that I’m in Berlin, that I’m having fun. I’m trying to make my friends jealous so they’ll think more of me. I’m trying to participate in culture. “And probably the biggest insight here, is that this is happening every day with millions and millions and millions of people and they’re not tagging our brands . . .
“It’s time for us to realise that a lot of chatter is happening about us; that we’re not working hard enough to find out about. “A few years ago, many of us thought, if our campaign has a hashtag it’s going to go viral and people are going to talk about it we’ll get all this social reach . . . how embarrassing when a few weeks into the campaign and you look at hashtag and the only thing that’s been posted has been by you and your team. “How do we reach those people talking about those shoes in a cultural context when they’re in Berlin as opposed to trying to buy keywords and compete for a race to the bottom in a category setting like a traditional use of Google search? Little said it’s all about content. “The nuance is that we now need to get the right content in front of the right people. The advertising industry has long preached we’re about getting the right message in front of the right people. What I’m saying is: No, that’s not what we’re supposed to be doing. Because getting the right message in front of the right people is the right way of pushing a one-way message down from the mountain top with your megaphone into their ear. No!